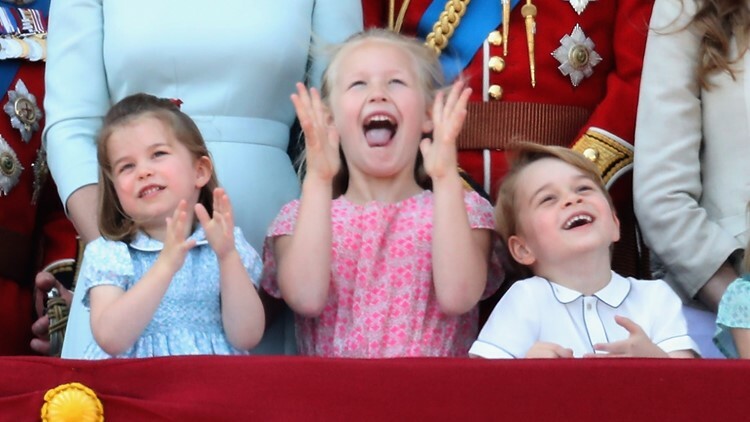 Duchess Kate's two eldest children, Prince George and Princess Charlotte, were also in attendance. 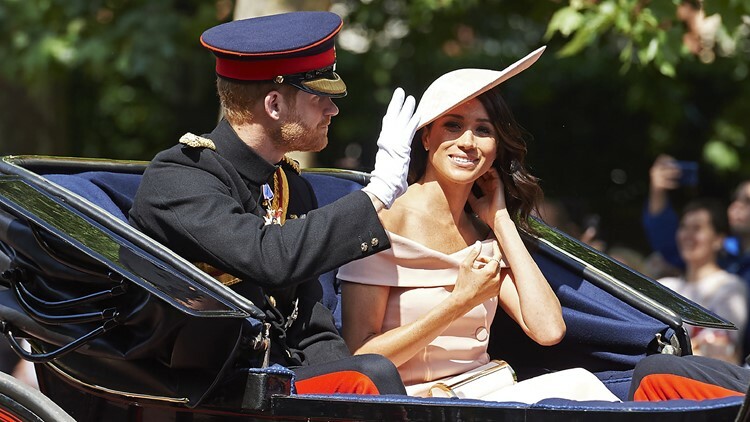 Despite speculation, new baby Prince Louis did not make an appearance on the balcony. 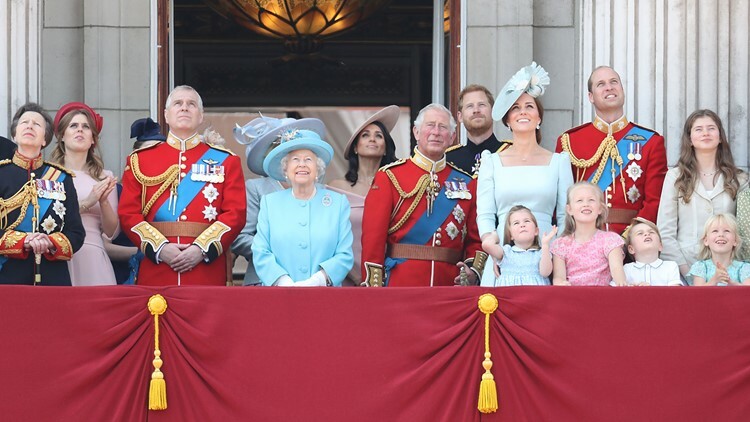 Princess Charlotte of Cambridge, Savannah Phillips, Prince George of Cambridge watch the flypast on the balcony of Buckingham Palace during Trooping The Colour on June 9, 2018 in London, England. 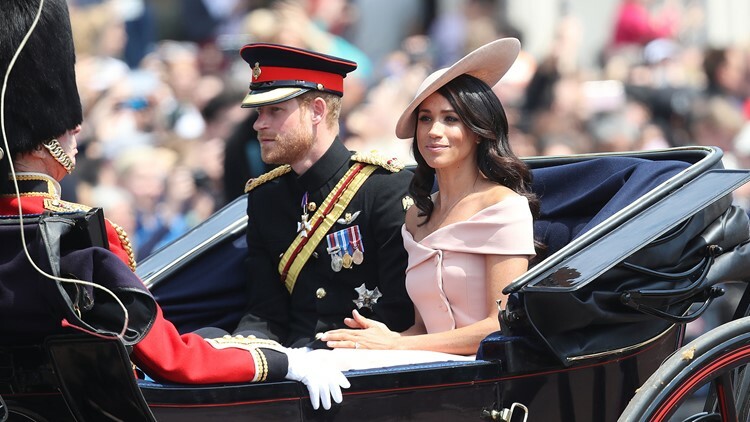 Britain&#39;s Prince Harry, Duke of Sussex and Britain&#39;s Meghan, Duchess of Sussex travel in a horse-drawn carriage down The Mall to Horseguards parade ahead of the Queen&#39;s Birthday Parade, &#39;Trooping the Colour&#39;, in London on June 9, 2018.